Do you want to know how to make green slime? You have come to the right place! 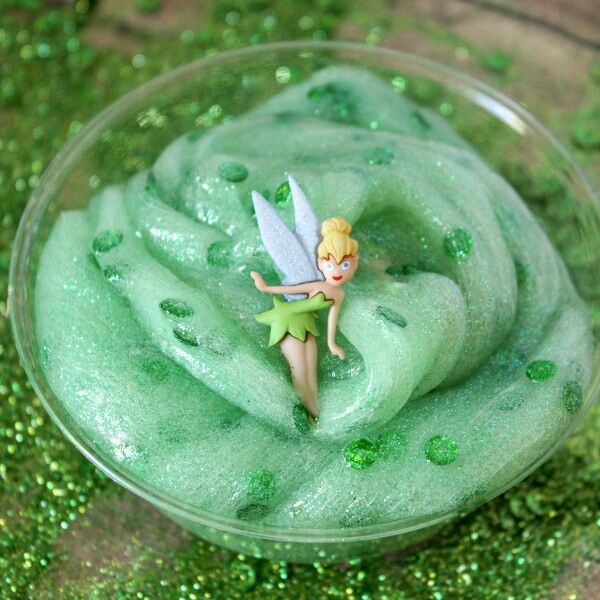 This pretty green slime is perfect for Disney Tinker Bell parties too! Slime, slime, slime…there are so many fun ways to make slime. 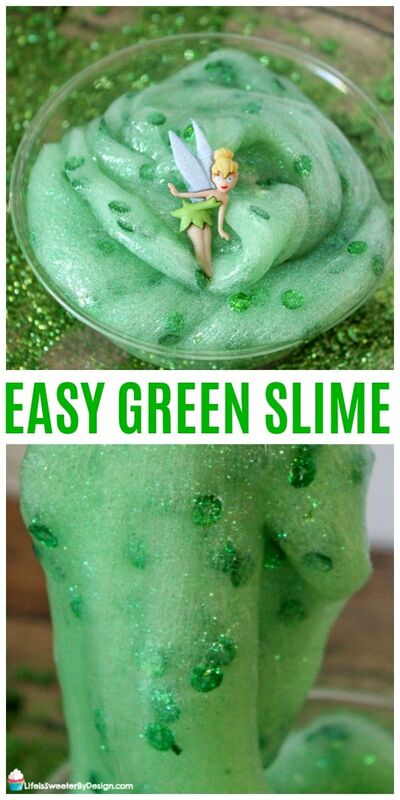 Green slime is easy to make and very easy to dress up. We found out how to make green slime even more sparkly and beautiful. It is amazing how the addition of some sparkly jewels can change the whole look of a batch of slime from gross to glamorous. If you make a lot of slime you will probably have some of these supplies already on hand. We have a whole cabinet of slime supplies in the kitchen at my house! Pour the clear glue into a bowl and add in the water. Add a few drops of the green coloring and stir. You can make this as bright or as light as you choose. Mixing greens and blues can also produce a nice shade of green. Now put the baking soda into the mixture and stir. Add the sequins and glitter into the bowl and mix them in well. If you are adding some little Tinker Bell buttons you can do that now! Now it is time to add the contact solution. It will begin to form and will be very sticky! Do not freak out!! Keep mixing the solution in the bowl. Continue kneading the slime until it is no longer sticky. Store the slime in an airtight container when you are done playing with it. 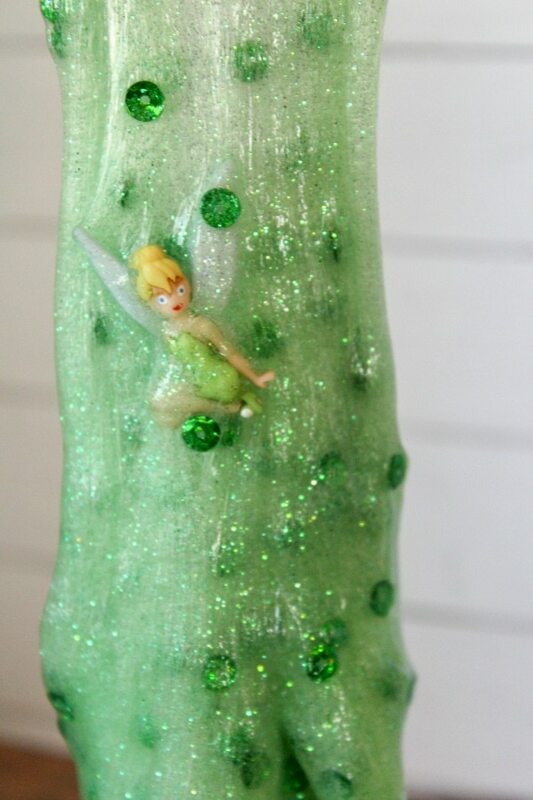 This green slime is perfect for a Tinker Bell themed birthday party. All of my girls loved Tinker Bell and still secretly do, LOL. Here are some fun ideas for to help you plan a Tinker Bell party. 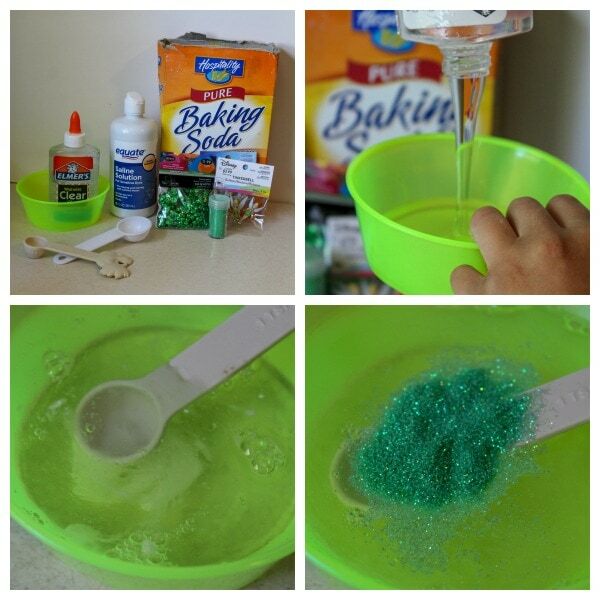 You can make the slime before the party and give it out as a party favor. 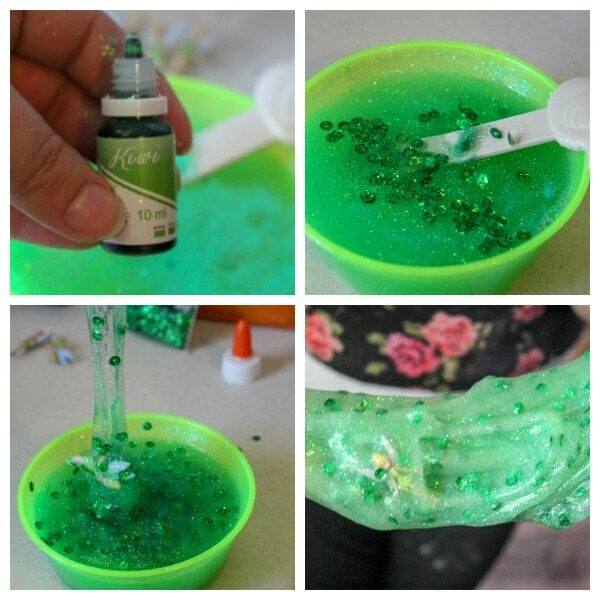 If you are really brave the kids can make the slime during the party as an activity!! Printable Crush has a whole article about how to create a special Tinker Bell party. She also offers some free printables! Another great place to go for inspiration is Kara's Party Ideas. She has a ton of different themed Tinker Bell party ideas to chose from! So cute! Be sure to SHARE this post on how to make green slime with your friends!